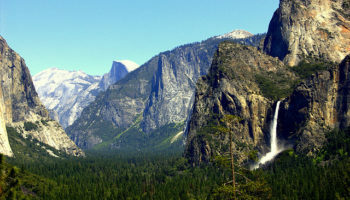 Out-of-this-world scenery, ethereal landscapes and beguiling wilderness entice visitors from all over the globe to delve into the beautiful and diverse Californian National Parks. 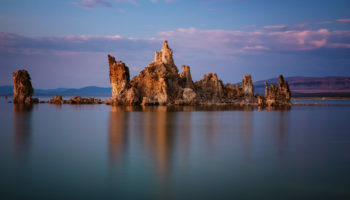 Including volcanic peaks, strange rock formations, lush meadows and dry deserts, the diversity of the landscape in California comes to life in these national parks. A huge spectrum of animals lives within many of the park’s boundaries, providing incredible opportunities for visitors to catch a glimpse of rare wildlife. With anything from whales to owls, the varied habitats are ideal mating grounds, with different species able to be spotted at different times of the year. 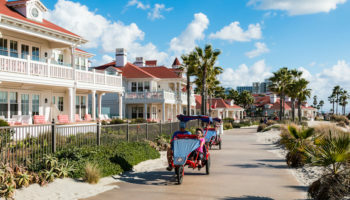 Spending time among the often cinematic scenery is hugely popular, and many of the national parks in California have seen visitor numbers rise in recent years. 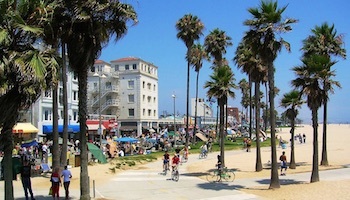 But as the parks span such a massive area, there is room for everyone to enjoy a piece of California’s beautiful natural bounties. From hiking and swimming to caving, skiing and even stargazing, there’s something to allure everyone to these beautiful national parks. In the heart of California’s Sierra Nevada mountain range lies the bewitching Devils Postpile National Park. The park’s main draw are the impressive columns of basalt rock that spire skywards and have fascinated people for generations. The strange structures were in fact formed by the aftermath of an ancient volcanic eruption, when lava streamed down the mountainous slopes and left these crazy columns. Icebergs helped to mold the hexagonal shape that now attracts so many people to come and gaze in awe at the force of nature. Nowadays, the columns make for the ideal place to have an adventure – hikers enjoy coming here to try out the selection of trails that crisscross the landscape. Hikes that wind past the 100-foot Rainbow Falls or Mammoth Lakes are very popular in the summer months. The fascinating, naturally-occurring geological formations are what draw people here, and the pure fresh air and unbelievable scenery make the local towns fun places to enjoy during the summer months, when festivals and swimming become very popular. Discover the scenic seashore of Point Reyes, the jagged point that juts out into the Pacific, where a depth of wildlife and plant species make this place a haven for nature-lovers. Along the coast, remote bays and wild meadows are home to wild elk and rare plant life; the national park is the ideal spot for children to discover and learn more about nature. Whale-watching is particularly popular here, and usually takes place in the winter months, whilst the wild blooms come out in the spring. Point Reyes is perfect for romantic beach walks, where visitors might be able to spot some of the beautiful birdlife along the lengthy shoreline. 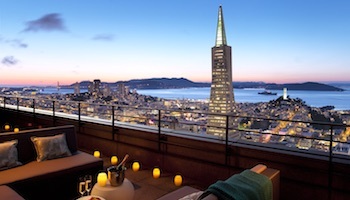 Located at the westernmost tip of Marin County, it is a doable day trip from San Francisco, but also worth visiting as a destination on its own. Nicknamed “America’s Galapagos,” the Channel Islands National Park is made up of five islands that are scattered along the coast of Santa Barbara. It’s home to over 2,000 species of plants and animals, 150 of which are found only on these islands, making this park truly the perfect place to spot some wildlife. Whales and dolphins pass by the islands in this richly diverse marine park, and many different types of birds call this place home. Every season offers visitors slightly different glimpses into the life of the park: summer brings warm waters and humpback whales, as well as blue whales, while autumn is ideal for kayaking and diving. The park is also known for its spectacular sunsets, when the dropping sun illuminates the landscape and reveals the true beauty of the oceanic vista. This steaming, sulphur-infused national park entices visitors all year round with its sputtering sulphur vents, misty hot springs and bubbling pools of mud. The volcanic landscape of the park means plenty of verdurous forests and crystal-clear lakes for visitors to enjoy. But don’t worry, the volcano after which the park is named hasn’t been active since it erupted in 1914. Take a wander along the many hiking trails; those who are brave enough can attempt the climb up the volcano itself. Lake Helen, at the base of the volcano, is a spectacular spot for viewing the scenery. The lake’s high altitude means that in winter it is often covered by ice, but as summer comes and the ice melts, translucent turquoise waters appear and it makes an enchanting spot for a picnic. The newest national park in California, Pinnacles National Park consists of craggy rock formations and steep cliffs. The contrasting landscape was created by volcanic activity over 23 million years ago, when a collection of volcanoes erupted and their lava flowed into the rocky formation. The scenery lends itself to diversity and, with the changing seasons, swathes of colorful wildflowers bloom under clear blue skies as temperatures soar in the heat of summer. At night, temperatures fall, making ideal camping conditions for visitors who enjoy a spot of stargazing. The Pinnacles itself is actually made up of two halves and, whilst visitors are not able to drive through the park, it is possible to hike from one side to the other. Rock-climbing is another popular activity, as well as exploring the park’s many limestone caves and caverns that have been created over millennia. 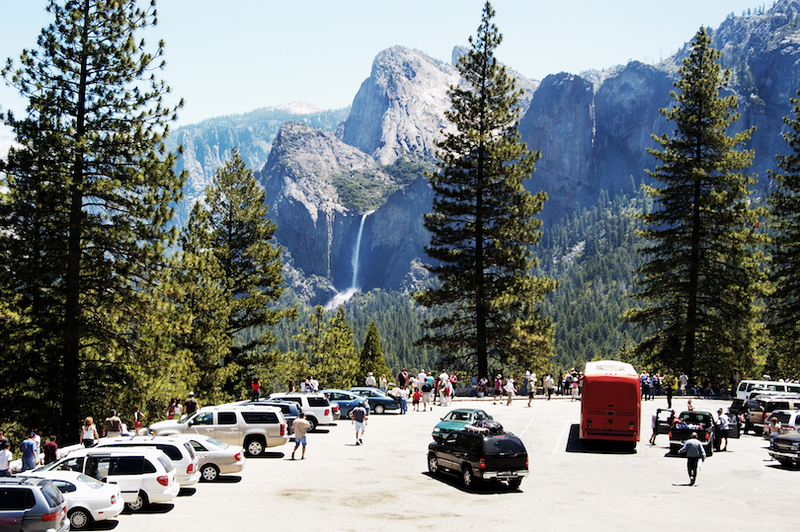 Although technically Sequoia and Kings Canyon are two separate national parks, they generally operate as a single unit and one fee allows entrance to both adjacent parks. 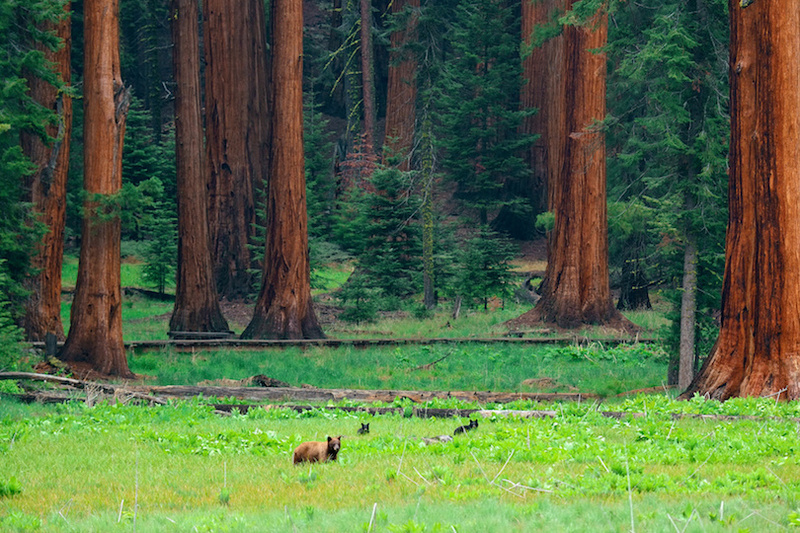 The towering sequoia forests that soar above the rapid rivers in these parks are super-sized. As the largest trees on the planet, the sequoia are giants that grow alongside a hugely diverse range of plant and animal species. Sun-drenched foothills and snowy elevations create a wilderness that is an amazing experience for all those who visit. The parks’ subterranean cave networks are also extraordinary, and the glistening crystal caverns are easy to explore – visitors can take an educational trip though marble caves with a guide. 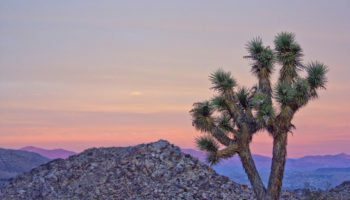 Rugged mountains, big boulders and arid flats create the strange surroundings of the Joshua Tree National Park, which has been bewitching nature-worshippers, artists and sunset-seekers for years. 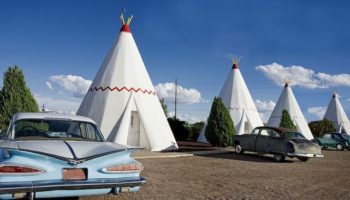 Situated at the point where the heights of the Mojave Desert connect with the lowlands of the Colorado Desert, the park’s diverse desert flora includes the bizarre looking tree from which the park takes its name. 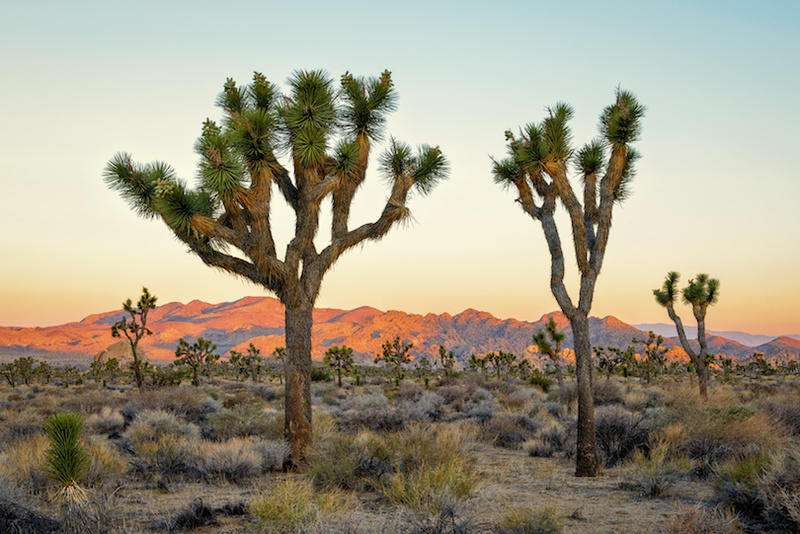 The Joshua trees that thrive in this area create strange and majestic shapes that appear to change as the sun sets. Those looking for a bit of peace and quiet will love this park. For something a little more energetic, there is the option to walk the Indian Cove Nature Trail, or to try out rock-climbing at Echo Cove. 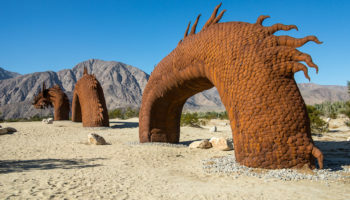 The park has also become synonymous with music, with many musicians spending time among the Joshua trees in order to find inspiration; local roadhouses put on live music performances and welcome people to join in with the musical traditions of the park. Impressive and imperious, the commanding redwood trees tower above everything else as the tallest living thing on earth. 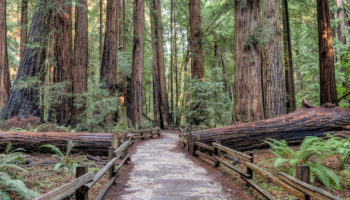 Redwood National Park, situated up in the northern coastal region of California, is home to a huge 35 percent of the coastal redwoods left standing on the planet. The park is a haven for wildlife and is home to many intriguing animals, including owls, salmon and sea lions. Trails weave their way through the ferns that carpet the forest floor below the bows of the trees, and open out into the spacious meadows. If you aren’t yet convinced that this place is otherworldly, it was made famous in Star Wars as the location for the Forest Moon of Endor. Its name might sound a little eerie, but the stunning snow-capped mountaintops and desolate deserts make Death Valley an imposing yet magnificent site. In what is possibly one of the most extreme landscapes on the planet, the park’s low-angled winter light, huge rain storms and blossoming spring flowers makes this park really quite unbelievable. The valley is known to be the hottest and driest place in North America, but the heat attracts steady streams of visitors to its surreal wilderness. Strange sand formations and layers of rocks make a fantastic playground for photographers. Hiking trails and viewing points allow visitors a glimpse into the otherworldly terrain, where most days are drenched in sunshine and night-time brings fantastic stargazing opportunities. World-famous Yosemite National Park has become the iconic hangout for keen wilderness hikers, who enjoy spending weekends attempting the many trails that crisscross the parks. 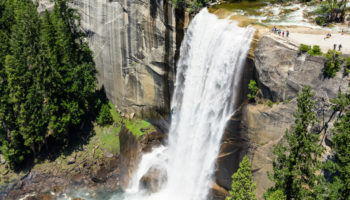 Well-known by wanderlust seekers, Yosemite is high on many bucket-lists, with people drawn to its dramatic scenery and beautiful wildlife, powerful waterfalls, impressive sequoias and jaw-dropping cliffs. 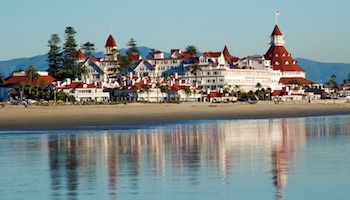 This is the place to come for adventure and serenity in equal helpings. The park is also popular with groups and families who visit all year round – as well as to enjoy skiing opportunities. 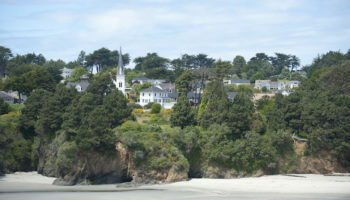 Many visitors stay in lodges in nearby towns or camp out in the summer months and spend time among the striped, sheer cliffs. The views from up high at Glacier Point are immensely impressive, as are the strange rock structures of Half Dome and Sentinel Rock. 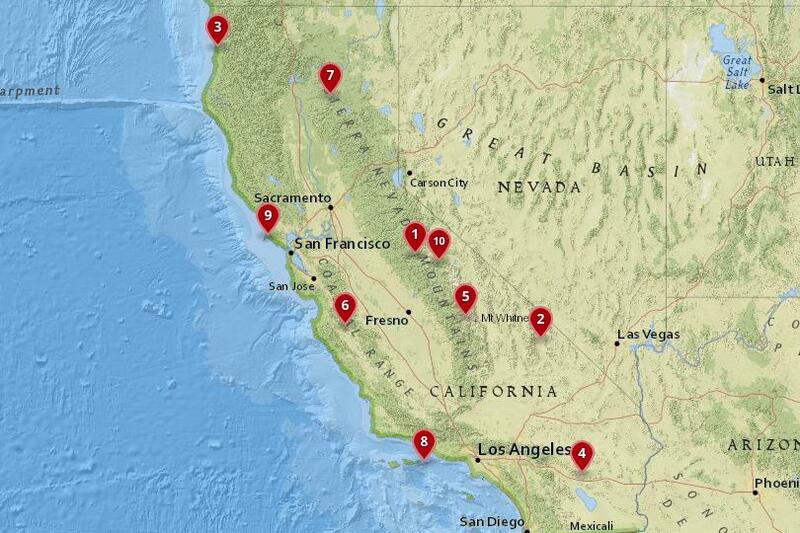 Which national parks in California do you consider the most beautiful?